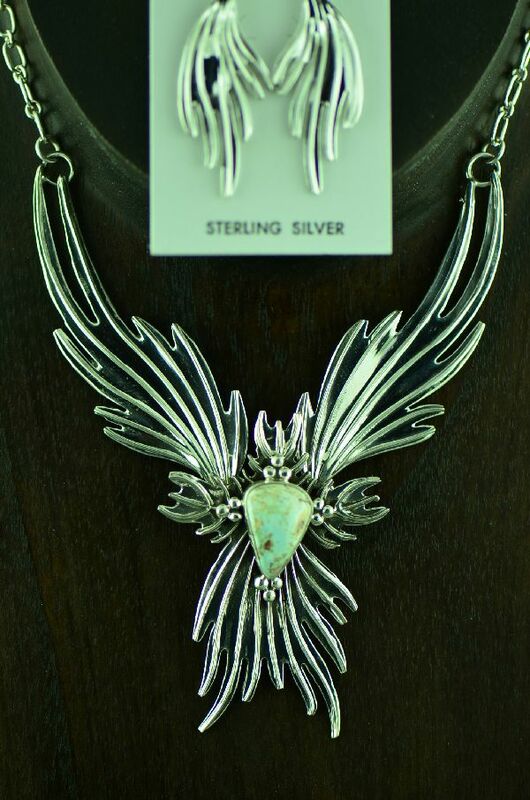 This elegant contemporary sterling silver Dry Creek Turquoise necklace and earring set is created by Charles Johnson, Navajo. 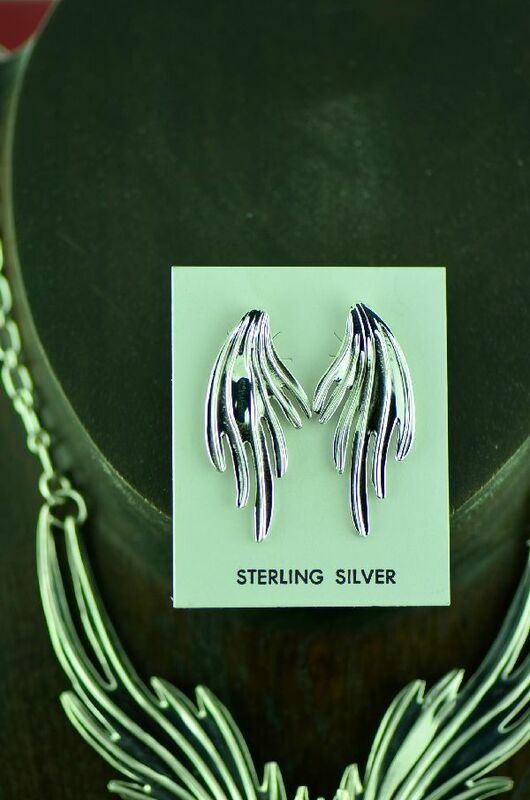 The design of this necklace is called a Phoenix Firebird. 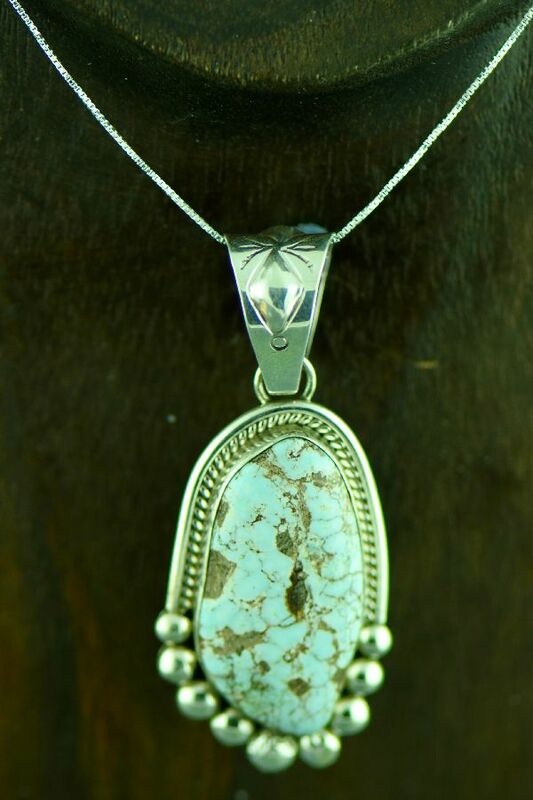 The artist has chosen a beautiful Dry Creek Turquoise stone to accent the silver work. 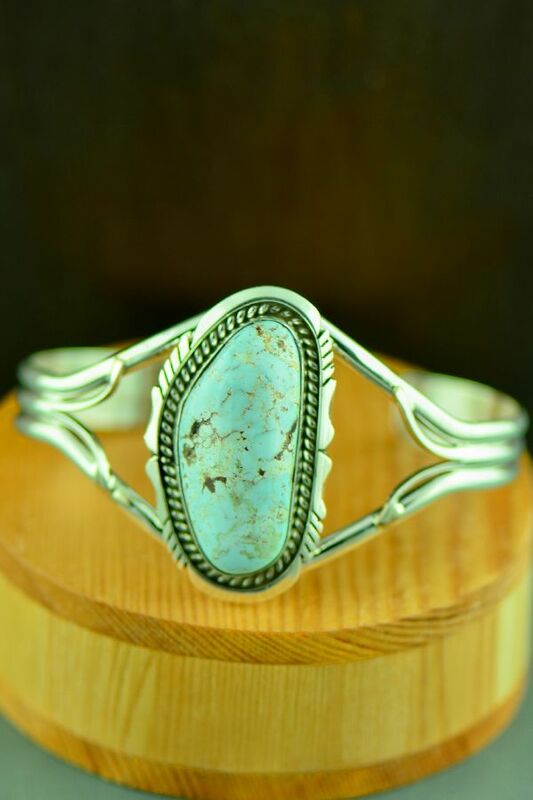 The Dry Creek Turquoise measures 3/4” tall by 1/2” wide and is set in a smooth bezel. 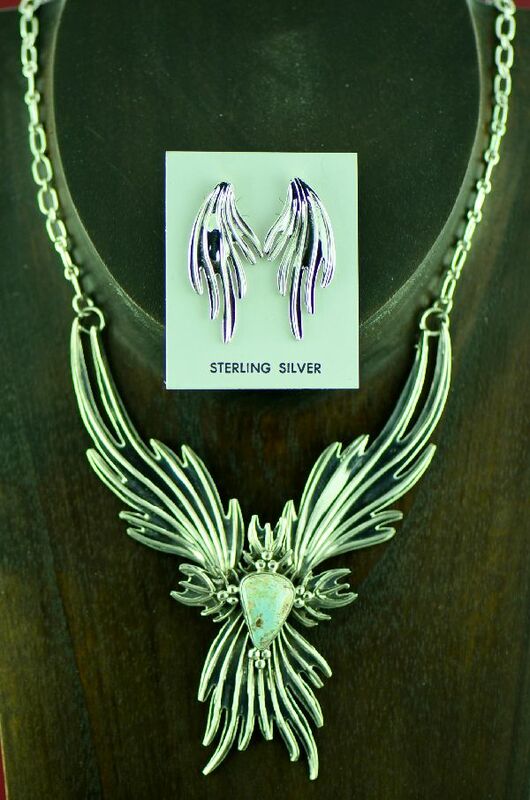 The silverwork in this necklace is stunning. The silver work is 4-1/4” long. The overall length of this great piece is 18” long. The matching earrings measure 1-1/2” tall by ¾” wide. This piece is signed by the artist.